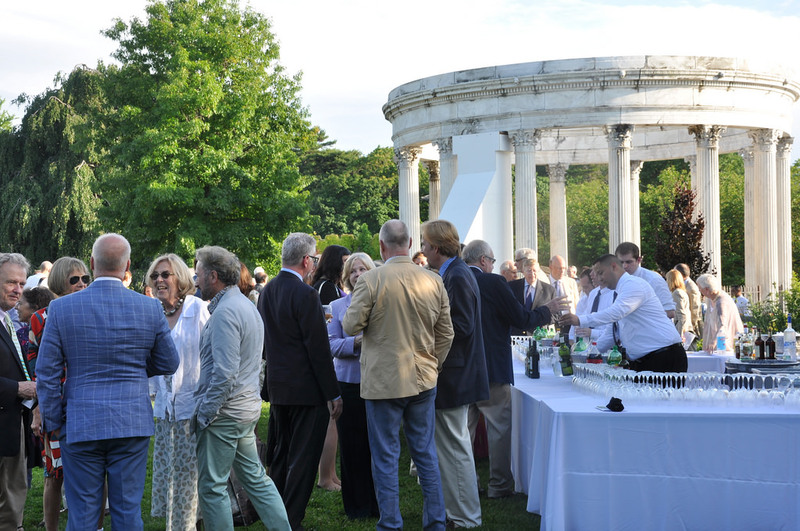 With its majestic garden spaces open to spectacular views of the Hudson River and Palisades, Untermyer Park and Gardens offers one of the most elegant settings for a wedding in the New York metropolitan region. A limited number of weddings within the Walled Garden are allowed each year. There are three options: ceremony only, ceremony with cocktails and reception for 260 or fewer guests and ceremony with cocktails and reception for 350 or fewer guests. Ceremonies may be held in the amphitheater or Temple of the Sky overlooking the magnificent Persian garden and Hudson River. All catering, security, rentals and insurance are additional. Additional information is available through the Yonkers Parks and Recreation Department. 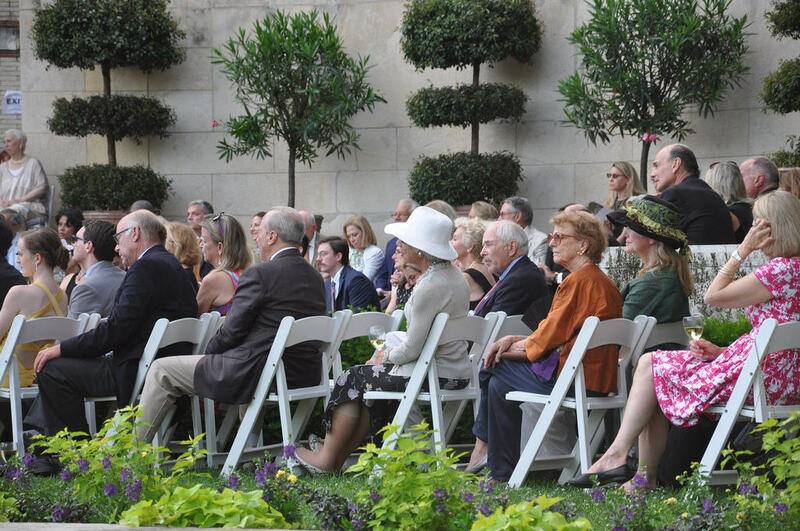 A limited number of ceremonies without receptions are allowed in the Walled Garden. The Amphitheater or Temple of the Sky may be reserved for one hour for up to 100 people, but the rest of the garden will be open to the public. Only two chairs are allowed. No decorations other than a floral arch are allowed. No amplification is allowed. The fee for the ceremony is $2500 payable to the City of Yonkers. 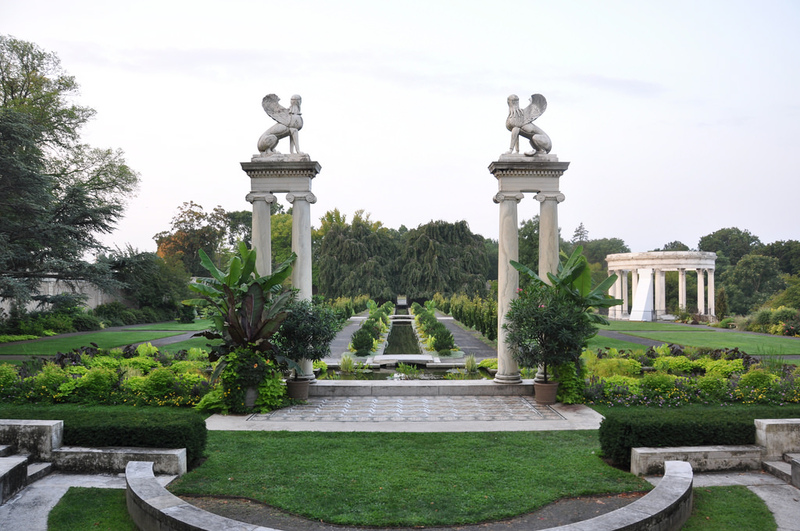 With its majestic garden spaces open to spectacular views of the Hudson River and Palisades, Untermyer Park and Gardens offers one of the most elegant settings for a wedding in the New York metropolitan region. Ceremonies may be held in the amphitheater or Temple of the Sky overlooking the magnificent Persian garden and Hudson River. A tent may be placed on the lower terrace of the Walled Garden with capacity of up to 260 guests. During your wedding, the Walled Garden will be closed to the public. 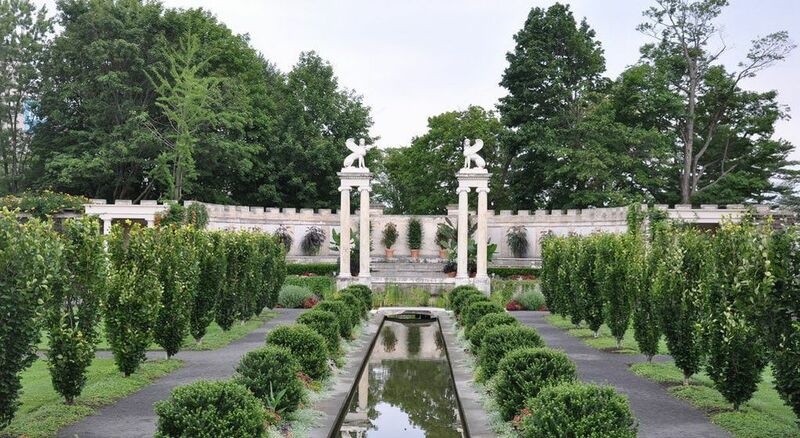 The fee for the use of the gardens is $17,500 payable to the City of Yonkers. 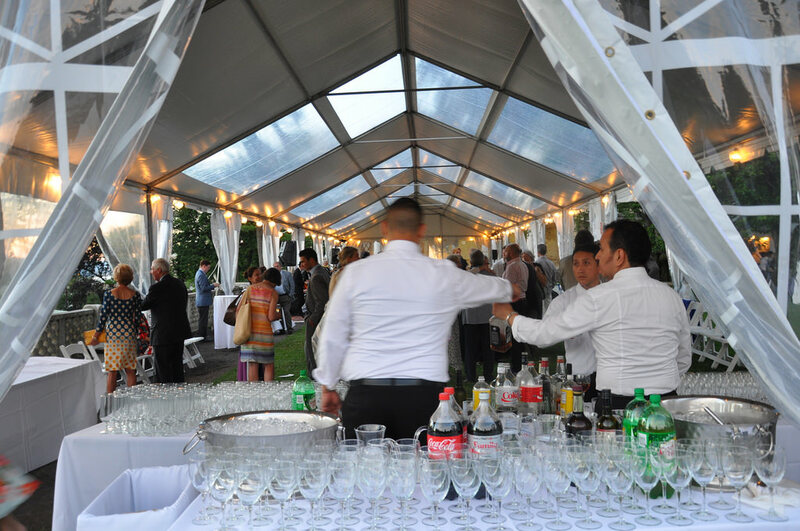 A tent may be placed on the lawn outside of the Walled Garden with capacity of up to 350 guests. During your wedding, the Walled Garden will be closed to the public. Permits for commercial or professional photography are handled by the Yonkers Parks Department. You can reach them during regular business hours at (914) 377-6450. They can also answer any questions if you're not sure if your photography or videography is commercial or professional. The permit form is available on the City of Yonkers website.